American Roulette is one of the most popular table games in the world. 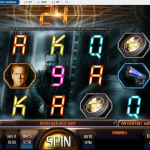 Many people love Roulette for its simplicity and its excitement. The concept of Roulette revolves around the spinning of a wheel, a bouncing ball and the number that the ball lands on when the spinning ceases. The American Roulette wheel has 38 numbers on it if one were to include the 0 and the 00. Playing the game involves guessing which one of those 38 numbers the ball will fall on at that crucial moment. 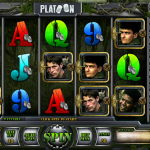 American Roulette has an interesting combination of color and number sets that the player can choose to either increase the odds or increase the payout. Practice play mode is available for people who want to get a feel for the game before they bet their personal funds. The minimum bet in a practice play mode game is $1. The maximum bet for such a game is $500. Placing a bet is as easy as tying one’s shoes. 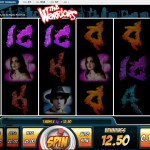 First, the player needs to decide how much he or she wants to bet. The player can use a reserved approach or an aggressive approach. Next, the person should click on the chip or chips that represent the amount of the bet. 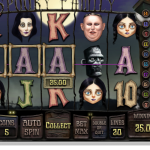 For example, the person should click on a black chip if he or she wants to place a $100 bet. 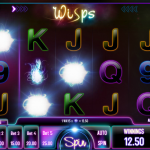 Next, the person should move the mouse and click the spot on the table where he or she would like to place a bet. Finally, the individual should click the “Spin” button and watch the wheel turn with a fury. Hopefully, it will land in a fruitful position. The most straightforward bet is the single-number bet, which is also known as the straight-up bet. It has a 35-to-one payout. The next highest bet is the split. The player puts half the bet on one number and half the bet on another number. The payout for such a bet is 17 to one. The street bet goes on the outer right boundary line, and it has an 11-to-one payout. The corner bet is a tricky one that intersects where four numbers meet. It has an eight-to-one payout. Line bets cover entire lines, and they are fun bets to make. The 12-number bets are just another option that players have. They have a two-to-one payout and people refer to them as dozen bets. Many more options are available. Real-money play will require the interested person to sign up for an account. The first step in getting signed up for an account is completing the registration form. The registration form is quite thorough and will need information such as the person’s name, address, telephone number and more. The form will ask for personal details such as the registrant’s mother’s maiden name. This is necessary to prove the person’s identity. The site wants to ensure that it protects the player’s integrity. Once the sign-up process is complete, the player can then indulge in real transactions. American Roulette is still a favorite table game. It is great for everyone from the total beginner to the advanced pro.